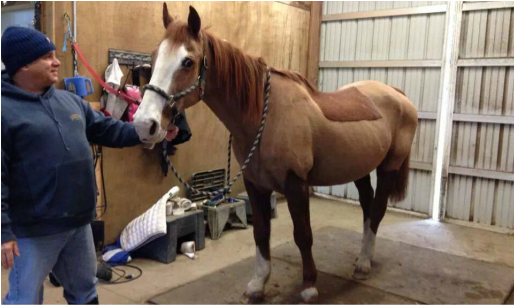 Equine body clipping offers both aesthetic and health benefits for your horse. Is your handsome horse looking a little, well, hairy? Do you want to help him look sleek and shiny for show season? Or maybe you’re having to spend more and more time drying off your horse after she’s been exercised, and you’re tired of soaking up gallons of sweat. Are you concerned that your horse is having a hard time cooling down? 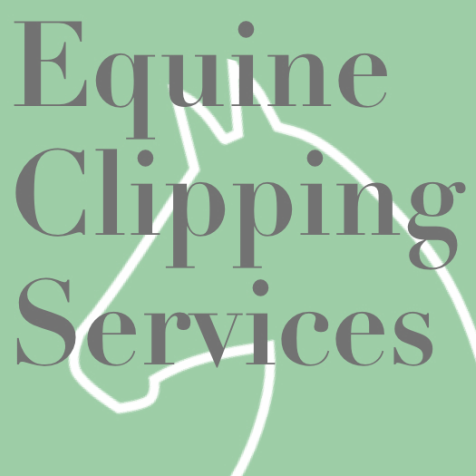 All of these are excellent reasons to consider equine body clipping. Body clipping involves trimming large sections of your horse’s coat; clipping offers not only aesthetic benefits, but health advantages as well. Horses in the wild grow long, thick protective coats during the winter to help them stay warm. Naturally, horses are better at warming up than cooling off. Their bodies are designed to generate and store heat, versus the human body which easily regulates body temperature. Clipping in the winter allows a horse to work in comfort. In spring and summer, horses no longer need the extra protection of excess hair. In the warmer months, that extra hair can sometimes do more harm than good, especially if your horse is being asked to work regularly. Being too hot can actually cause a horse to lose condition, and can make keeping a horse in good condition almost impossible. Just as there are many types of horses doing all sorts of activities, there are many types of clips available. A professional groom will work with you to customize the right clip for your horse, taking into account the time of year, how much work your horse will be doing, where/how much the horse sweats, event participation, where your horse spends most of her time, etc. Some clips take off a little … and some take off the whole lot! For example, a bib clip removes the coat from the underside of the neck down in front of the chest. A hunter clip takes it all off, except a small area of mane, the saddle area and all four legs. A small V shape is often left above the tail. Note that the hunter type of clip is only for the horse that is really working hard, competing and hunting regularly. Clipping takes a good bit of equipment, along with time and practice to learn the skill. If you are wanting to learn how to clip your own horse, consider asking a professional for some pointers. Do your research on what equipment you’ll need and other preparations to consider. If you decide to go the professional route, you will free up your time (and/or that of the trainer and staff) to work on other projects. You’ll avoid the expenses of purchasing and re-sharpening blades and of clipper repair. As a professional groom, I understand the importance of having proper equipment that is serviced regularly. I always carry more than one handset, so if there is an equipment failure, I have a backup. Another benefit? You don’t have to get covered in horse hair!